Our specialty is ranking websites higher on search engines like Google, Bing, and Yahoo. SEO is a form of online marketing that focuses on growing your website’s visibility within the organic search engine results of Google, Bing, and Yahoo. SEO includes a wide variety of elements which all help improve website rankings, drive targeted traffic, and increase popularity in the search engines. Anything from the quality of the content on your site to the way other websites link to yours will have a major impact on the way search engines view your page or site. Another major component of SEO is keyword research, which is finding terms and phrases that your customers use to find your products or services. By conducting proper keyword research and optimizing the site both on and off page, you will be well on your way to attracting new web visitors already looking to buy! The simple answer to this question is that your customers are looking for products and services using the major 3 search engines. If your website cannot be found for relevant searches, they will end up buying from your competition that is better optimized in all phases of SEO. No longer do people use the Yellow pages when looking for a local service or product, they turn to the search engines and more specifically Google. It has been shown that that roughly 70% of all internet searches result with the user clicking on an organic (not paid) listing. In fact, a study by Outbrain shows that search is the #1 driver of traffic to content sites, beating social media by more than 300%. As you can see, it’s extremely important to be visible to searchers looking for similar products or services. Another convincing argument for needing SEO is that search engines provide TARGETED traffic meaning people looking exactly for what you offer. 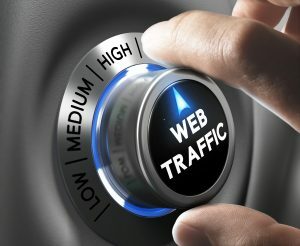 This targeted traffic is extremely powerful and can help provide popularity, revenue, and exposure like no other form of marketing is capable of. A smart investment into Search Engine Optimization can have high rates of return when compared to more traditional marketing strategies. Of course you can do SEO for yourself, but you must understand that it’s getting more complex and harder to rank a website today than ever before. Google is now using multiple algorithms that help them filter the best results as well as utilizing artificial intelligence to filter the best content, so it’s best to be informed of the latest updates and update your strategy accordingly. There is plenty of Free SEO information online, and I certainly would recommend spending some time and familiarizing yourself with the basic concepts. That being said, SEO takes a very long time to master and the consequences of making a mistake by yourself could set back your business 6+ months or even worse. For this reason, it’s best to have an experienced SEO that has proven results along with constant testing working closely with you to ensure a successful campaign. On-Page SEO refers to the practice of optimizing factors on your web page to rank higher and drive more targeted traffic from the search engines. There are many on-page “factors” that you can improve which can include optimizing the meta tags, title tags, meta descriptions, heading tags, site loading speed, website usability and navigation, URL strings, quality and authority of content, inbound & outbound links, and relevancy. While all of the factors are taken into account, some of these are weighted more heavily meaning they will have a larger impact. Over the last 6+ years doing SEO full-time, I have found the most important factors to be having extremely well written content and lots of it to create relevance for a certain topic. My philosophy is to create relevance with a strategy utilizing what SEO’s call a Silo. Essentially by creating a main topic page along with many supporting pages, it sends signals to Google and the other search engines that you have a lot of great quality content regarding that specific topic. This structuring of similar content is what Google is looking for and is the best way to improve your on-page optimization period. Unlinke On-Page SEO, Off-Page SEO refers to the practice of optimizing elements OFF the actual website. It generally includes Link building, social media marketing, and social bookmarking. It’s a well-known fact that link building is the most critical aspect to any SEO campaign because it is the best way possible for Google and other search engines to rank websites. Think of it this way. Let’s say you are trying to rank for the keyword “Houston Chiropractor.” There are dozens of competitors for this term simply because it’s searched often and brings in new customers. If two competitors have very similar on-page seo on their website, but one has links coming into their site from CNN, Huffington Post, NY Times, The Houston Chronicle, Spine-Health, etc they are much more likely to rank higher. Having links from other relevant and popular sites is a great indicator for Google when trying to rank or filter websites. In fact it’s the best indicator and it will be for a very long time. For this reason, MegaBiteSEO focuses heavily on quality link building and is the key to our success. We utilize a wide variety of strategies to attract links including guest posting, press releases, quality directory submission, local citations, infographics, and more. It’s also very important to note that link building has to be done the right way. Just 5 years ago, you could just acquire links from anywhere or anyone and they would all help your ranking. This led to lots of SEO’s and agencies performing “spammy” tactics and the search engines were forced to fight back. Their results were not giving the user the best websites for search terms and it left the search engines looking for answers. Google in particular has created “penalties” for websites that appear to spam too much or otherwise game the system. If you are too aggressive, acquire spammy links, or use too much exact-match anchor text, you will most likely get penalized and this is something you want to avoid at all costs. In search engine optimization, the measurement of incoming traffic to your website is critical to your success. We track a wide variety of statistics to make sure that your campaign is effective. We set up all our clients with traffic analysis software along with providing timely ranking reports. You should be aware of direct traffic, referral traffic, search engine traffic, time spent on site, bounce rate, and more. Regardless of the software (Statcounter or Google Analytics), I always strongly recommend testing different versions of pages and changing the content to increase conversions. This is a very simple thing to do yet can have a huge impact in the success of your business. Month to Month. Some Conditions Apply. 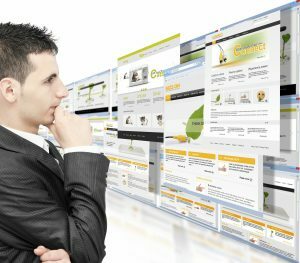 1 What is Search Engine Optimization (SEO)? 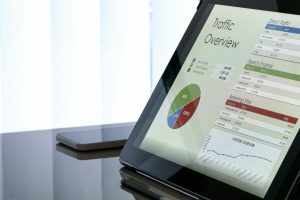 2 Why Does My Website Need SEO? 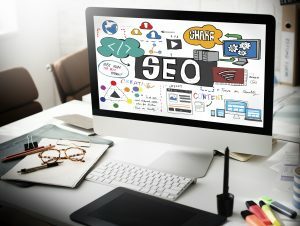 3 Can I Do SEO For Myself?